PARIS/MILAN -- Fiat Chrysler vehicles were allowed to skip key tests for illegal engine software during Italy's main emissions-cheating investigation in the wake of the Volkswagen Group scandal, according to the transport ministry's own report. The report, presented to a European parliamentary committee in October but never officially published, will be seized upon by environmental groups pressing lawmakers to vote on Thursday for tougher EU oversight of vehicle testing by national authorities. The ministry findings, which have been circulated by some Italian opposition politicians and examined by Reuters, include complete sets of data for eight diesel cars made by BMW Group, Ford, Mercedes-Benz, Volkswagen and General Motors' Opel/Vauxhall. But for three of the seven FCA models also investigated -- a 2.0-liter Jeep Cherokee, a 1.6-liter Alfa Romeo Giulietta and a 1.3-liter Lancia Ypsilon -- results are missing from an on-road measurement phase and a reversed version of the EU's standard "NEDC" lab test. All seven FCA models also lack data for an "Artemis" test that adjusts the EU lab regime to reflect urban driving styles. The three skipped protocols are typically used to help unmask defeat devices by preventing them from detecting the test. No explanation for the missing FCA results was offered in the document. But transport ministry spokeswoman Luisa Gabbi told Reuters a "new definitive version" had been drafted to include more data for FCA models following further tests, and would be published in coming weeks. "No key test has been omitted for FCA," she said. Environmental groups see this as further proof of the supportive relationship between national testing authorities and automakers. "It's imperative that we break this cozy relationship between national testing authorities and their domestic carmakers," said Julia Poliscanova, a vehicle emissions specialist at Brussels-based campaign group Transport & Environment. "This report points to collusion, showing what is going to happen if type approval rules are not tightened up and all enforcement continues to sit with national authorities," Poliscanova said. 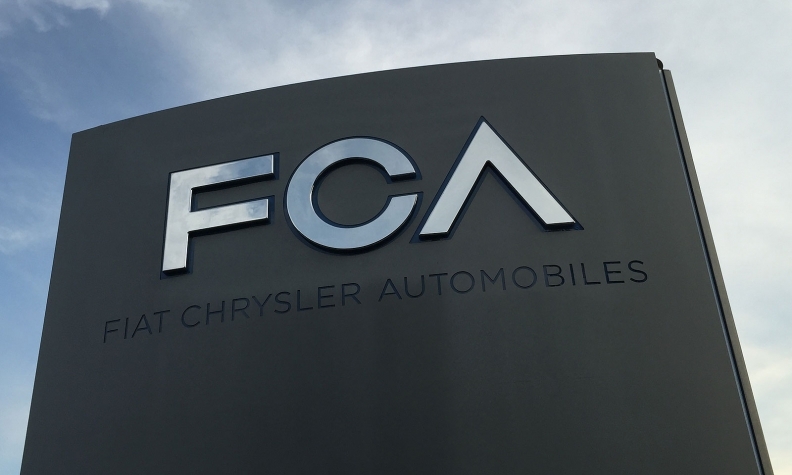 The Italian report may raise questions for FCA as it faces a U.S. criminal investigation for alleged emissions manipulation and German accusations that it, like VW, used "defeat devices" to confound nitrogen oxide (NOx) tests. FCA on Monday became the third carmaker after VW and Renault to be referred to French prosecutors over emissions. The company denies breaking any laws, a spokesman reiterated, declining further comment. Their results revealed on-road NOx emissions as high as 15 times the regulatory limits, as well as the widespread use of defeat devices that reduce exhaust treatment in some conditions. FCA is among carmakers including Renault and GM that have broadly invoked an EU legal loophole designed to allow such software only when it is necessary for safety or engine protection. All deny breaking the law. In German and French testing, a Jeep Cherokee 2.0-liter similar to the model overlooked by Italian engineers emitted between 5.3 and 9.9 times the legal NOx limit under modified EU test cycles conducted in the lab or on the road. Independent road testing of a Fiat 500L with the same 1.6-liter engine as the omitted Alfa Giulietta measured NOx levels more than 5.6 times the statutory 180 milligrams per kilometer for Euro 5 engines, according to UK-based Emissions Analytics. According to the Italian report, the FCA models were all analyzed in Fiat's own labs under the supervision of ministry officials, while all other models were tested at an independent Istituto Motori facility. The draft regulation before lawmakers would bolster EU oversight of government testing authorities to address perceived conflicts of interest when they inspect and certify the cars of their own national manufacturing champions. Brussels would get powers to carry out vehicle spot-checks and allow national authorities to peer-review one another's decisions. Under current rules, a vehicle certification is valid EU-wide but can be revoked only by the country that issued it. Lawmakers on the European Parliament's internal market committee are expected to approve the draft with only minor amendments on Thursday, setting the stage for a plenary vote. The European Commission, which drew up the proposals last year, is mediating in a related dispute after Germany accused Italian regulators of failing to act on evidence that FCA models including the Fiat 500X use banned defeat devices. A spokeswoman for the EU executive declined to comment on the Italian diesel report but emphasized the need for change. "Member states have so far wanted to keep exclusive responsibility," Lucia Caudet said. "But this system has failed."